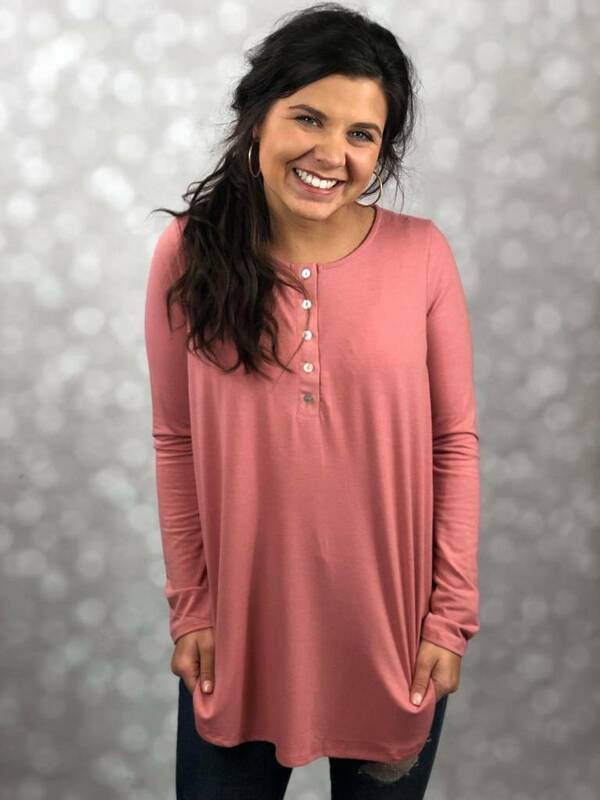 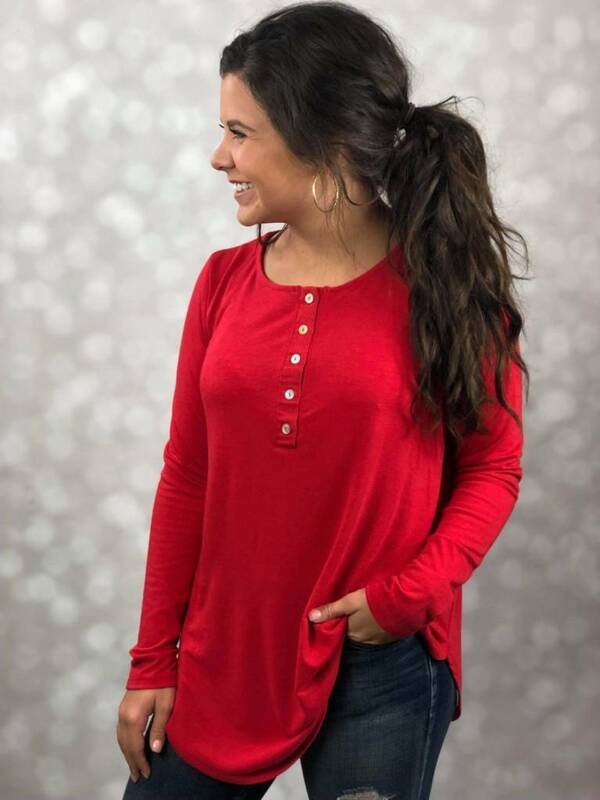 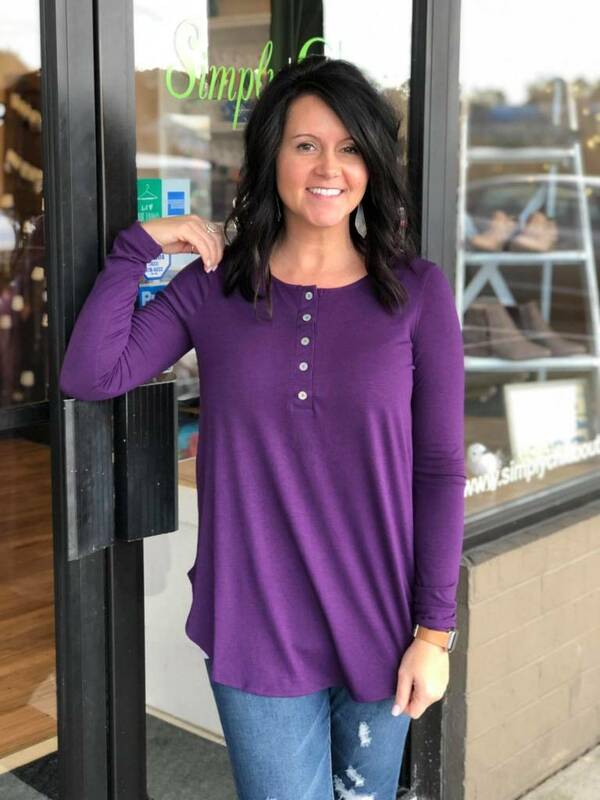 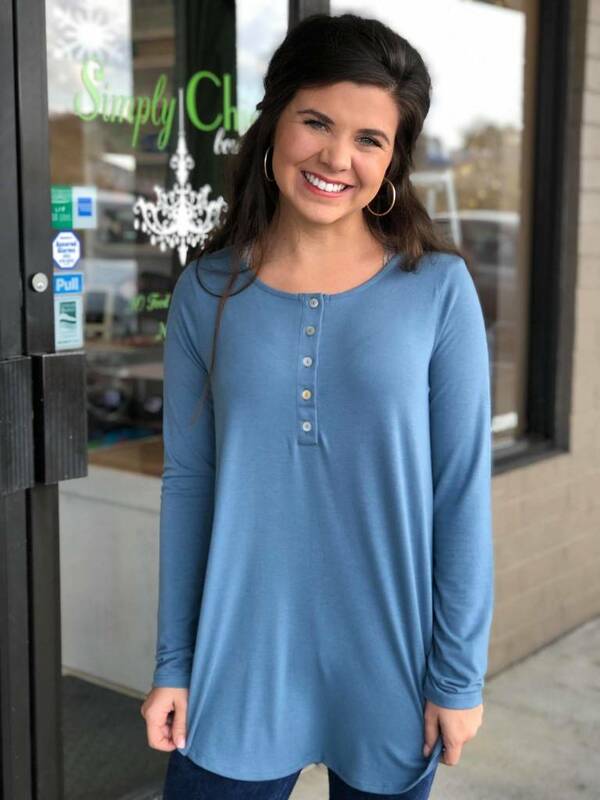 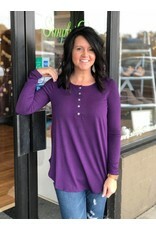 Long sleeved knit top with round neck and buttons in the front and rounded hem line with higher cut sides. 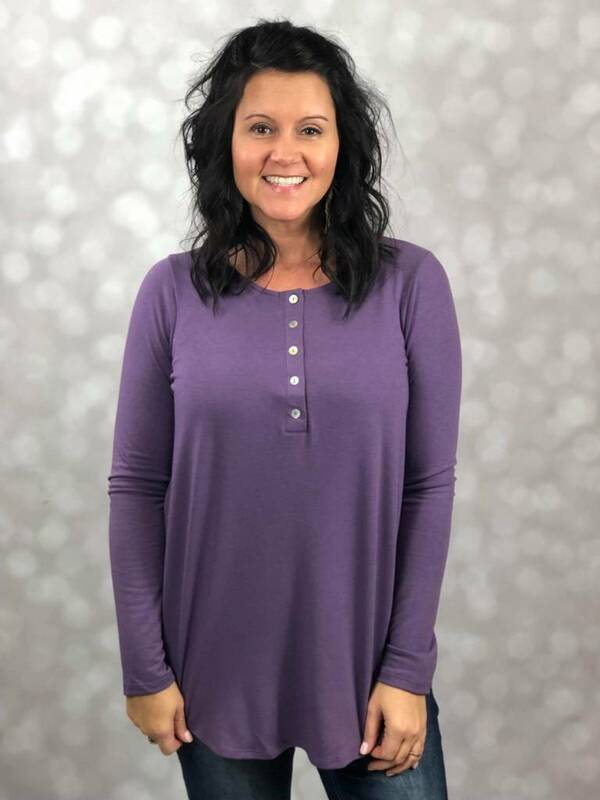 Christel is 5'4", normally a Medium, and wearing the Small in Light & Dark Purple. 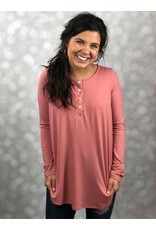 Kari is 5'3", normally a Small, and wearing the Small in Rose, Blue and Red.